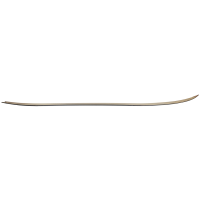 A unique 205cm long powder snowboard. Every year, if you’re in the Powder of La Grave, Arlberg or Alagna, you dream of the ultimate surf-feeling in the snow while underway. Pogo founder and shaper Martin has finally brought his dream to life. 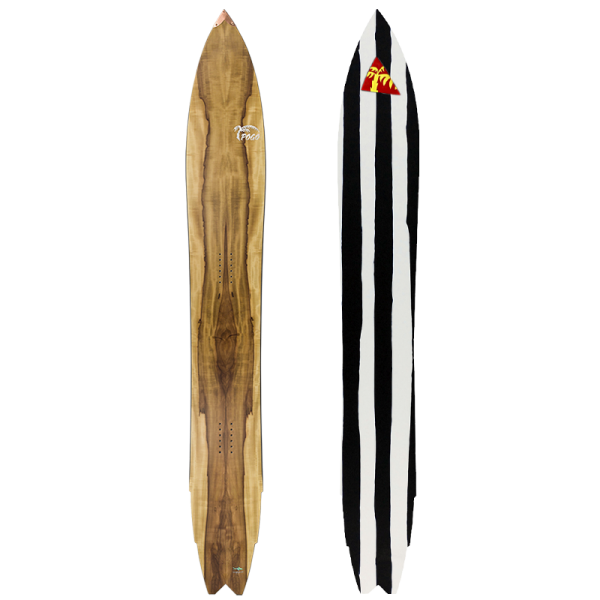 On the tip and tail, this board has a very pronounced Rocker, with a small camber in between. 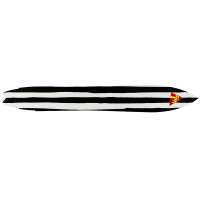 This new concept shape with the Double Winger Fishtail gives the board its name and surfboard similarities in Powder. 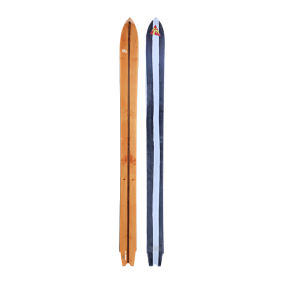 As with the Powderguns one stands in the exact center and the rear foot isn’t stressed.The special lifted nose makes traversing in powder and even in difficult snow enjoyable. Turns render the truest surf feel. Also due to the 3d double concave base in the tail. The Wingergun has unbelievable running stability with incredibly true tracking at highspeed. 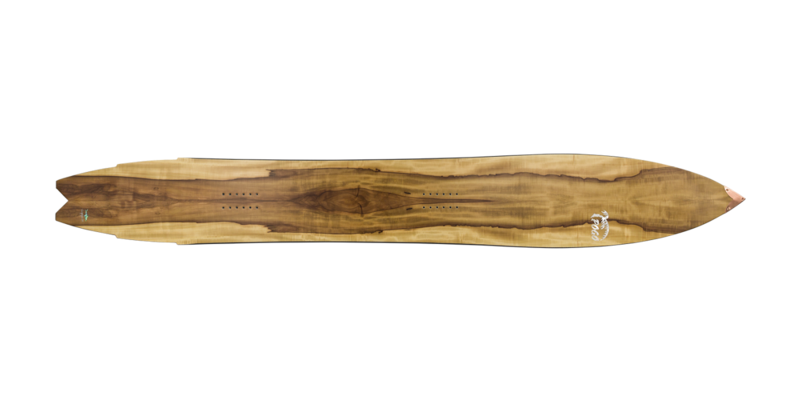 As expected, this board works well in any snow condition and in steep, icy couloirs you have perfect control. It even works as a hard piste carver. 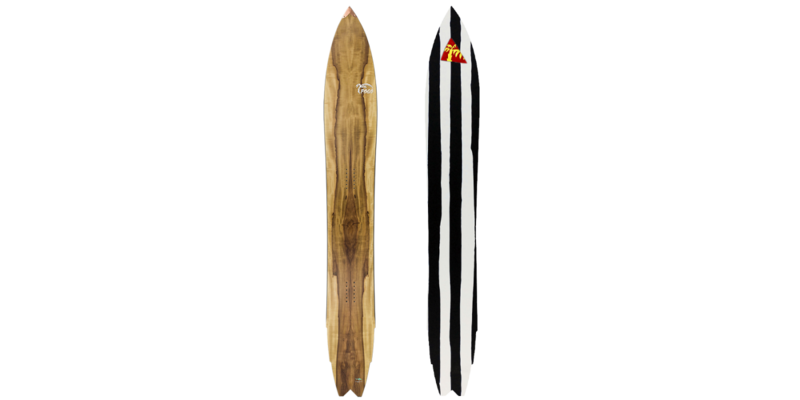 With the superior mix of the material this snowboard has a proven long life and is very light. Ingredients include lots of Carbon Kevlar, a dampening 3 layer rubber frame, poplar-ash wood core with ABS sidewalls, Titanal reinforcements, custom extra-strong fiber glass and a double sintered 1,2mm P-tex 4000 base. As with all Pogo boards we offer our long life repair service. The shown topsheet is real european yew with a walnut stringer. 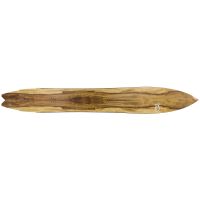 Yew is the strongest and best wood for bows and has a beautiful glow. 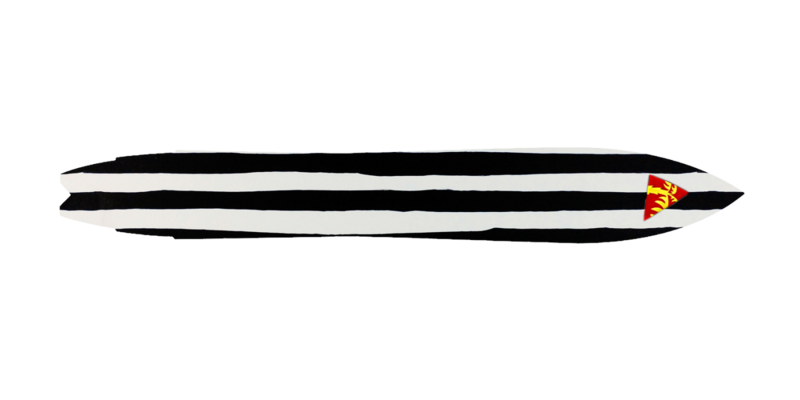 The Pogo logo and a little shark as tribute to the Fishtail serie are real mother of pearl. 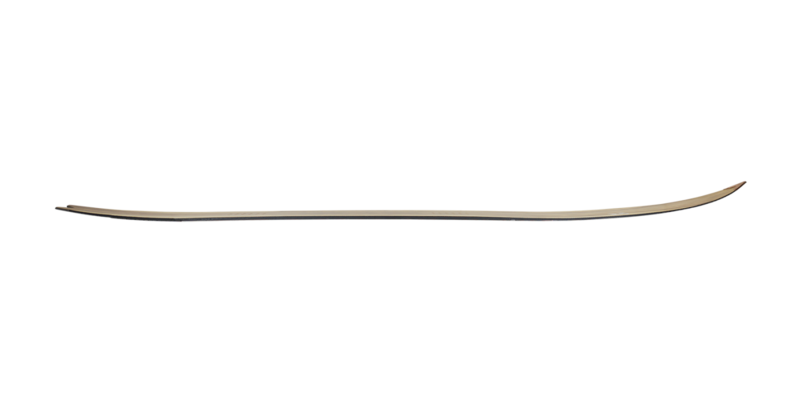 The pointed tip is protected by a hand forged copper guard. As this board is manufactured individually for you on order, you have to allow 4-6 weeks delivery time. Of course often we can deliver faster and custom design wishes can be realized. Feel free to contact us anytime and anyhow, if you have questions regarding this offer.